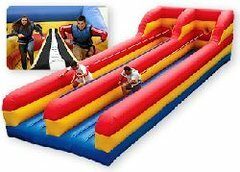 Interactive Game Rentals | Premier-Inflatables.com Avon IN. 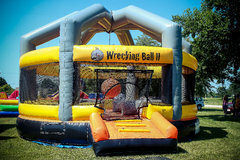 Interactive inflatables engage and entertain your guests in ways only Premier Entertainment Group can do. These giant interactive activities are our specialty, so you'll find a great selection of awesome attractions your guests will love. 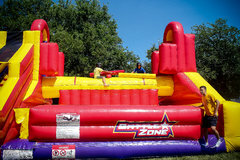 Games like our Battle Zone or Hungry Hippo Chow Down are great for school and church carnivals or company picnics are the perfect solution keeping everyone involved and part of the action. Browse the selections below and click on the image or "More Info" button to get additional information and to make a reservation. 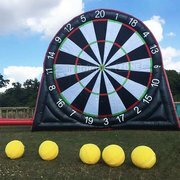 Zorb Wars Arena - Coming Summer 2019!